Choose The Best... We Did!! 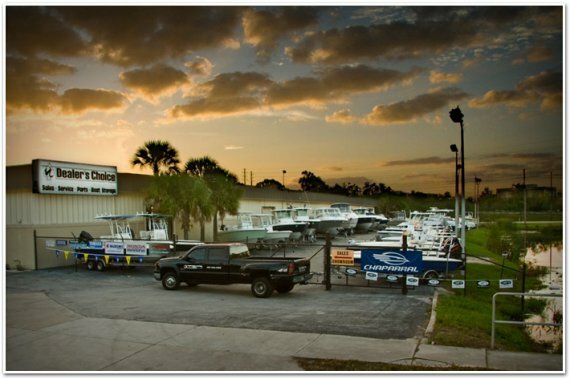 Dealer's Choice Marine was established in 2000 by a father and son team with a passion for boating. When David and Justin Miller started this venture they wanted to be the best. So to accomplish this objective they set out to offer a higher standard when it comes to the details of delivering boats that offer the highest quality and value. In addition to supplying the customer with a knowledgeable sales staff, they also have a expert service team that can get their customers back onto the water safely and quickly. In the past our dealership only focused on the best built boats. Our dealership now focuses not only on the best built boats, also the best boat companies. Dealer's Choice Marine is the premier dealer of: Chaparral Runabouts & Cruisers, Robalo and Berkshire. Take a closer look and I think you would agree, our boat lines offer superior engineering and construction innovations that maximize performance, handling, and all around durability. We also offer competitive financing and mobile service. If this is your year for a new boat, choose not only the boat that gives you the best standard features and most confidence "Choose The Best"...... We Did! 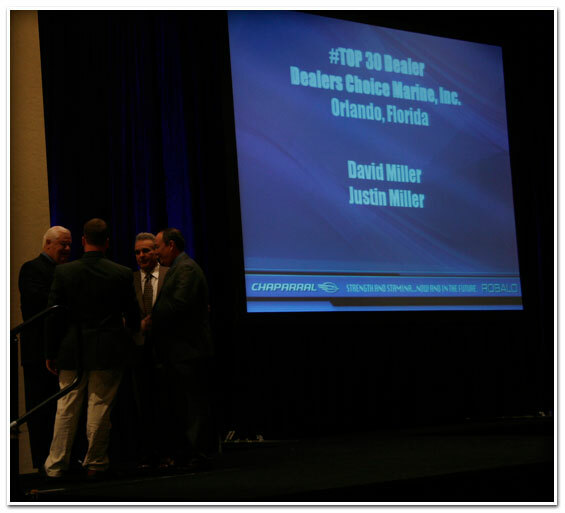 Dealer's Choice named Top 30 Boat Dealer! Justin and David Miller with the founders of Chaparral Boats Buck Pegg and Jim Lane. Dealer's Choice Marine was given the distinguished honor of being named a 'Top 30' dealership for one of the worlds top Boat Manufacturers, Chaparral Boats, Inc. 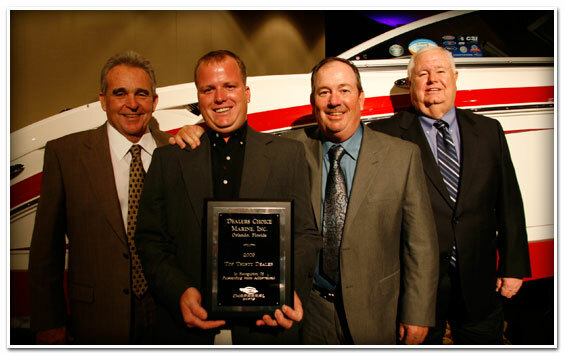 The award was presented at Chaparral's annual dealer conference in September of 2009. The Customer Satisfaction Index (CSI) is a measure taken by an independent agency to determine the success a dealership has had in pleasing it's customers. In 2009 Dealer's Choice Marine received the highest score possible!! Dealer's Choice Marine strives to satisfy the customer 100 percent of the time. In 2009 it would appear that we were successful in our goal! 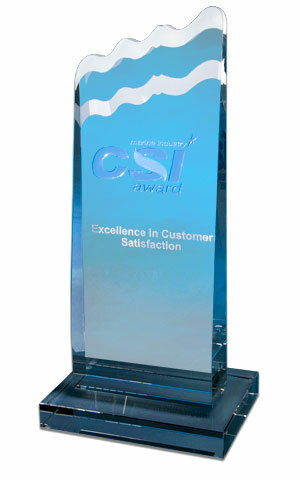 Dealer's Choice has been awarded with a 100 percent score on our Customer Satisfaction Index (CSI) score. Our close knit family team works one-on-one with our customers to ensure that everyone leaves with a smile knowing that they will be taken care of. Customer Satisfaction isn't just a goal, for us it's an obsession!